Summer is here. Tomorrow the children finish up at their school and in a few weeks we will move to our new home in Northern Ireland. So we’re having all the feelings over here and there is much strutting and bellowing going on between the jigs and the reels. Over the coming weeks, while I’m in the heat of the move, I’m going to be posting links to the podcasts that I recorded last year so that you can revisit some of the amazing women I had the privilege of talking to. To get the ball rolling, I’m going to start where it all began with my dear friend Noni Stapleton who is still touring with her marvellous award winning show Charolais. If you’re in New York City from Aug 29 – Sept 24 you can catch her at 59E59 for the show’s US premiere. You can catch the episode here. I was driving home from my audition this afternoon in Dublin and decided to listen again to Elizabeth Gilbert’s conversation with Glennon Doyle which I’d heard last summer. At the time Glennon was promoting her new book Love Warrior, which documents the fall out from her husband’s admission of infidelity and the rebuilding of their relationship. Shortly before the book released, Glennon revealed that her marriage was ‘complete’ and that she and Craig would be divorcing. Not exactly good news for her upcoming book release but her commitment to authenticity and truth trumped her need for book sales and public validation. 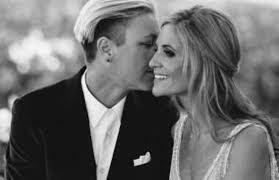 In November last year, she announced her engagement to USA women’s soccer legend Abby Wambach. They were married last month. What struck me today was something she said about serving the people who read her blog posts and books and being a fearless truth teller. This is a woman who has had more reason than most to hide away, put on the smiley face and keep her secrets to herself. But she has instead made her own struggles very public in order to allow others to know they are not alone. It doesn’t come without a cost and she’s had more than a little push back at times and had to deal with vicious trolling and even death threats. But she certainly inspires me. I read her book last summer when things were beginning to feel like they were coming to a head for me. I was waking up every morning with a feeling of dread, it felt like there was a well of tears sitting on my chest that I couldn’t even release. I couldn’t think straight. I felt in a complete fog with no idea how to get through it. What struck me most reading Glennon’s book, was how she seemed able to know what to do next at each turn of events in her life. She got a hunch to do something, she did it, and it led her to the next breakthrough or stepping stone on her path to freedom. I began to long for that deeper wisdom, that inner knowing, that wild intuition. I got my taste of the ‘hot loneliness’ in November 2016 when I had a breakdown and you know, it actually felt like a relief to just stop running. I remember lying on a bed in my doctor’s office, putting my hand against the wall and just allowing the black curtain of despair to settle around me like a blanket. I remember sobbing to the doctor that I couldn’t see the future, and knowing that sounded crazy because who can see the future, but up till then I had always been able to visualise the possible outcomes that my life might entail. I had literally and figuratively come to a dead end. I could see no further. I had to feel the exquisite pain of everything I was trying to outrun, and so begin my journey forward. 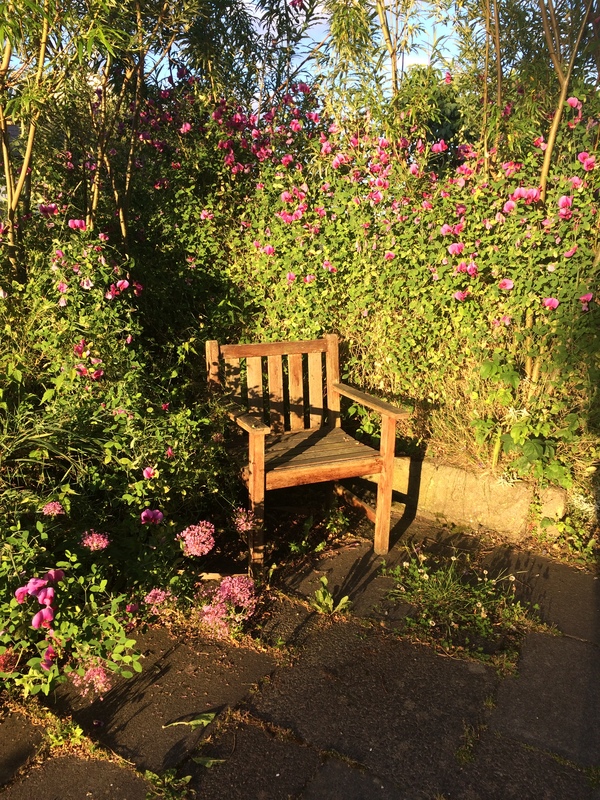 Letting go of my idea of what the future should look like, letting go of my avoidance and looking for ‘easy buttons’ to numb me from my pain, this is what has allowed a deeper wisdom, a greater intuition and a stronger compassion to emerge. I’ve been amazed to discover light on the path, not much mind, just enough for me to take the next right step, but it’s been taking me in directions I never thought possible. So back to yesterday, and listening to Glennon and Liz (I know, it sounds like they’re my friends but if they knew me in person, I feel certain we would be!). Glennon talked about how she never consciously sought a platform or an audience. She said at one point she had 12 followers to her blog and she just decided to serve them, write for them. Now she has millions and she does exactly what she has always done; shown up and told the truth to whoever wants to listen. I’ve struggled over recent months with how best to use this site. I’m passionate about connecting women, championing women, celebrating women in all their glorious manifestations but I think the most important thing is that I want you to know you are not alone. That I’m writing this, compiling this and seeking out fellow travellers for you. This is not an easy button, quite the contrary, I hope this will be a place you can come to and be real about where you’re at and see stories of hope and rising that can encourage you on your path. In the space of 6 months, my whole world has been turned upside down. We’re moving house, country, schools in a few short weeks so there’s huge temptation to numb out and avoid the pain of goodbyes and endings so perhaps you’d strut alongside me for a season and I’ll do the same for you. This is a regular series of shout outs, to bellow about women I admire and am inspired by. Some of them I know, some I don’t but in their own ways they have touched my heart. I hope you’ll click on their links to find out more about them. If you follow me on Instagram, you may have seen my story last week about my excitement at receiving a gorgeous new book in the post. 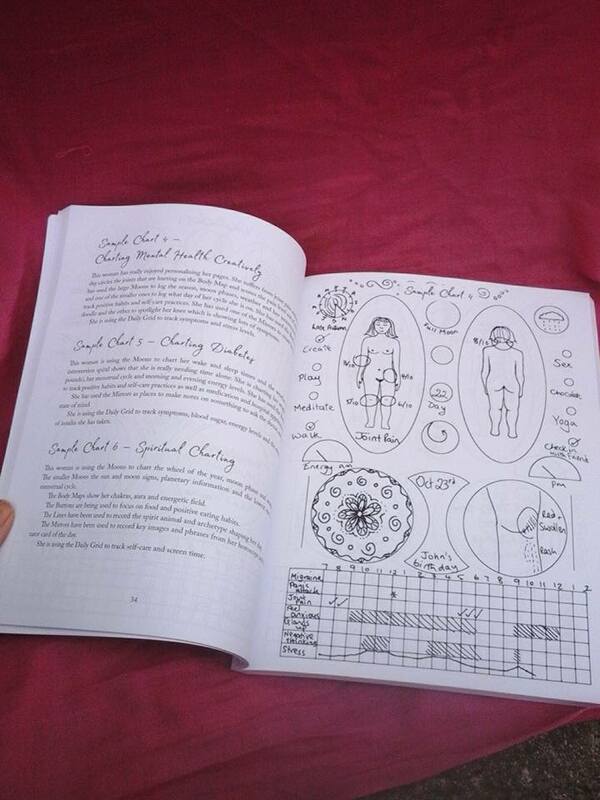 It was the new offering from Womancraft Publishing Full Circle Health – integrated health charting for women by writer and publisher Lucy H. Pearce. I’ve been following Lucy, the Amazon-bestselling author of Moon Time, Burning Woman and The Rainbow Way, online for a few years and watched as she has steadily and consistently built a publishing company dedicated to supporting and enhancing women’s wellbeing. The first book I read of hers was The Rainbow Way, which revolutionised how I saw myself as a mother. For the first time, I felt affirmed in the conflict I felt between wanting to be a good mother and a good artist at the same time. Lucy lit the path for me to integrate the different parts of myself, assuage some of the guilt I felt at the strong pull I had towards my creative life and also empower me to be the best mum I could be for my children. Along with titles by other writers, not least the groundbreaking Liberating Motherhood by Vanessa Olorenshaw, Womancraft Publishing also sells gorgeous gifts like the stunning pocket Goddesses from Brigid’s Grove. What happens when we pay close attention to the information that our bodies and minds are presenting us with? What happens when we dare to be truly present to the intricacies of our lives? What happens when we integrate cyclical ways of knowing and being into our daily lives? Welcome to Full Circle Health. A creative approach to holistic health for all who love planners, trackers and bullet journals. Full Circle Health provides a highly flexible, deeply supportive way of tracking your physical, mental and emotional health. With 35 daily charting spreads, a monthly habit tracker, charting grid and full circle charts, this integrated tool will help you to track your symptoms, energy levels, medication, self-care and support you in integrating health-making habits and mindful awareness into your daily life. Since joining Kate Northrup’s Origin Collective last month and taking a yoga workshop with Lou Horgan, it’s become very clear to me that a woman’s cycle can be her superpower and getting to know your own body and its rhythms as a woman can be incredibly empowering. Lucy’s gorgeous book is a vital tool in this path. There’s a real integrity to Lucy’s work which shines through. She doesn’t pull any punches, she’s holds her creative freedom very tightly (see Burning Woman) but she has created a platform big enough to share with other talented writers and artists. 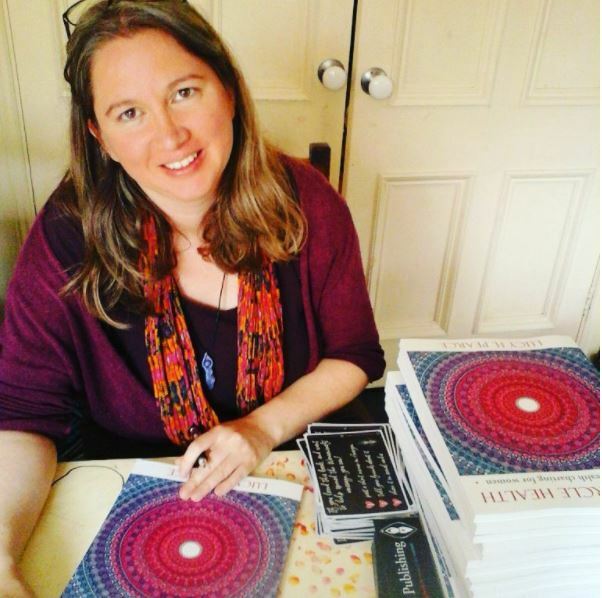 Her ethical business model ensures that her writers benefit fairly from their books sales, rather than a traditional publishing company taking the lion’s share. Stay tuned as I hope to get her on the podcast soon so that she can share more of her wisdom with us. 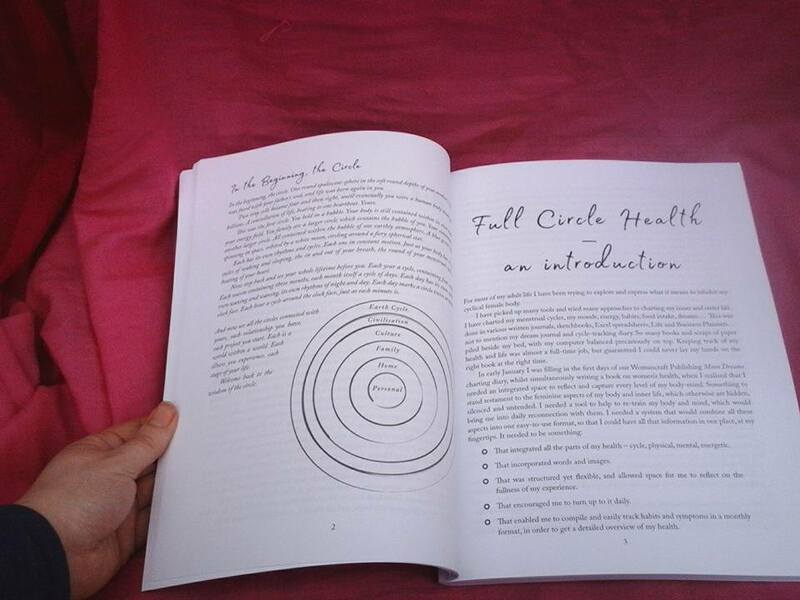 In the meantime, grab yourself a copy of Full Circle Health from Amazon, Book Depository or straight from Lucy herself at Womancraft Publishing. You can find Lucy on Instagram and Facebook and her own personal blog Dreaming Aloud as well.